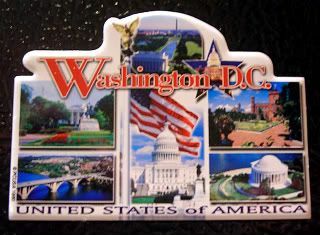 Yep, I'm supposed to be shopping for pick-up presents and birthday presents, but I totally bought this magnet today - with a special trip to CVS and a fight with the self-checkout machine over it, as well. With me having lived in NY since 1995, and DCsis having lived DC since 2000, we've always had a healthy competition over who has the better city. I tend to side with NY, naturally. But for today and all of next week, I'm going to be a Washingtonian, shopping and eating here today, and next week working out of our DC office. I like that my first day here, the U.S. Senate passed an $871 billion health care reform plan. And I'll tell you, they're gonna need it, all for the folks in DC who have to walk around the sidestreets of town. 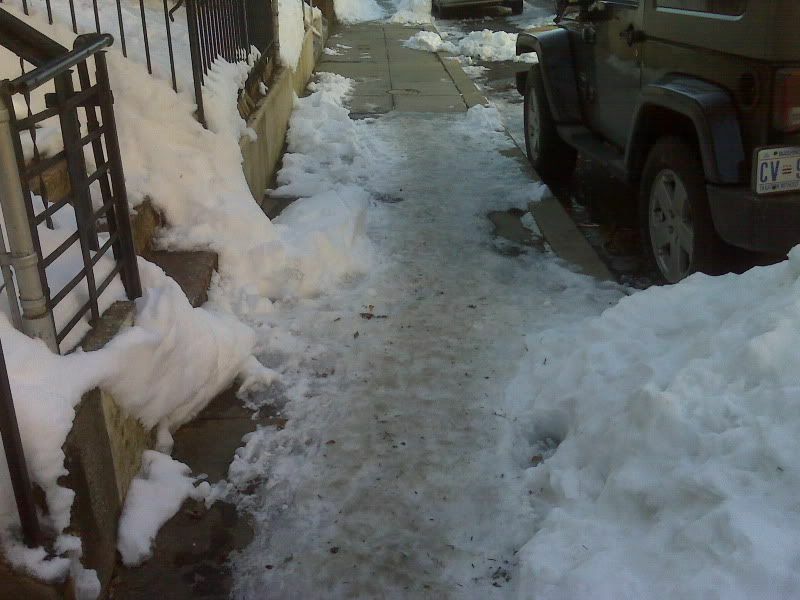 I just spent 10 minutes navigating through what should have been a 5-minute walk to the Metro, stepping over several icy patches on the sidewalks - which of course is totally homeowners liability, methinks - and over streets that were plowed a while ago, but not salted, so now, they're a ridiculous mess - half ice, half clear. What is that? 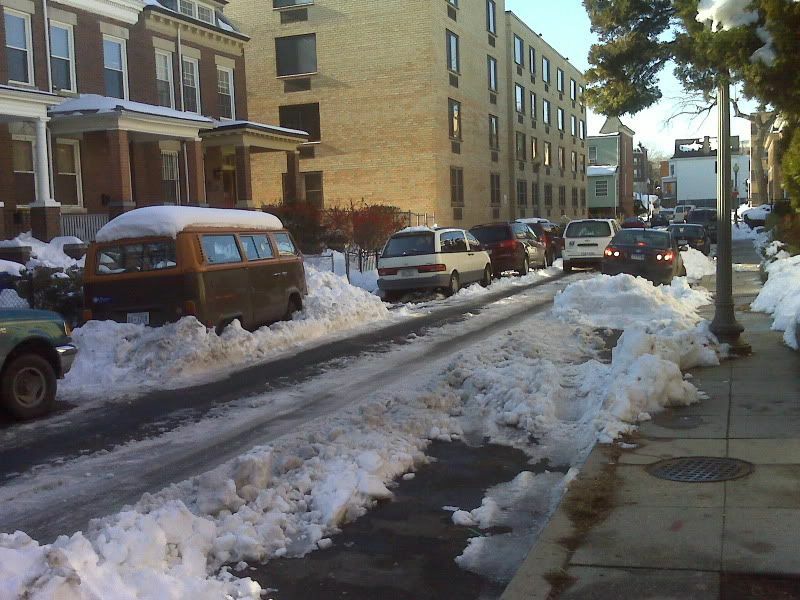 You can say DC wasn't prepared for the Storm of the Century, but c'mon now, it's been a week! Go borrow some salt from somewhere. These icy conditions are treacherous. Oh, I'm not saying NY's any better, but at least they seem to be maintaining streets and sidewalks. Leaving whole neighborhoods to fend for their icy selves seems to be pretty dangerous. I full on expect the main arteries to be perfectly fine, but dang, throw a girl some salt! OMG! Hey, whatever holidays you're celebrating, hope they're merry and bright, and of course, joyful!